For every candidate that shows for the event, NTI will be donating to the Trinity Jubilee Center in Lewiston. Prizes, snacks and beverages will be served. 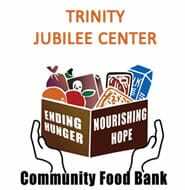 As an opportunity to serve the community, NTI will be donating to Lewiston’s Trinity Jubliee Center supporting their Community Food Bank service. We look forward to seeing you on March 16th!